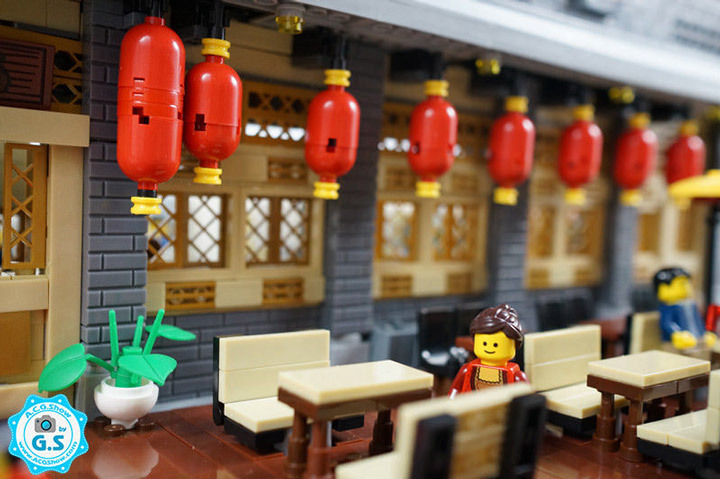 Lego builder Qian Yj has specialized in building Chinese themed Lego MOCs. One of their latest models is this “Lego Chinese Wind Architecture – Kuang Dian.” It is an amazing study of Chinese Architecture. The facade near perfect. Check out the details such as the trim around the roof, the red lanterns, the various seating arrangements, and the custom signage. 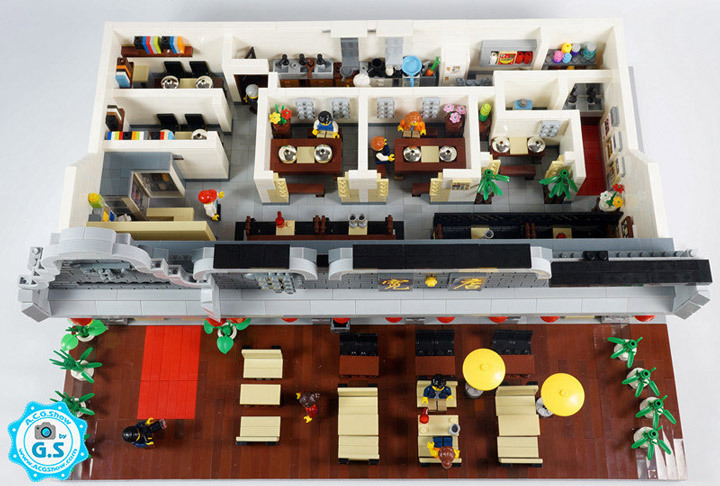 This Lego Restaurant is not a small building, and the interior is fully built. It looks like there are private dinning rooms, booths, a kitchen, and more all squeezed in. Using the 2×4 flat plates for detailing on the walls is a great idea. 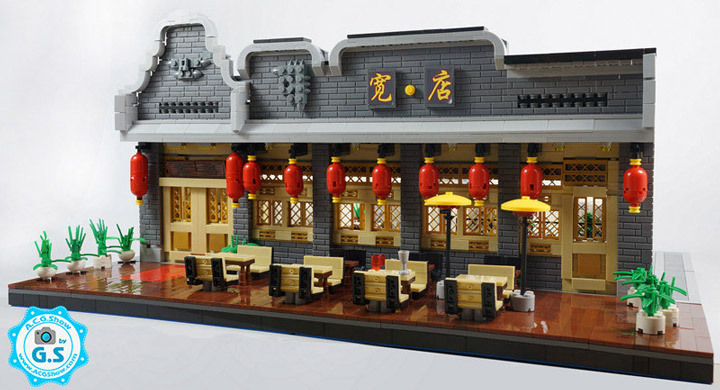 This Lego Restaurant is actually based on a real life location. 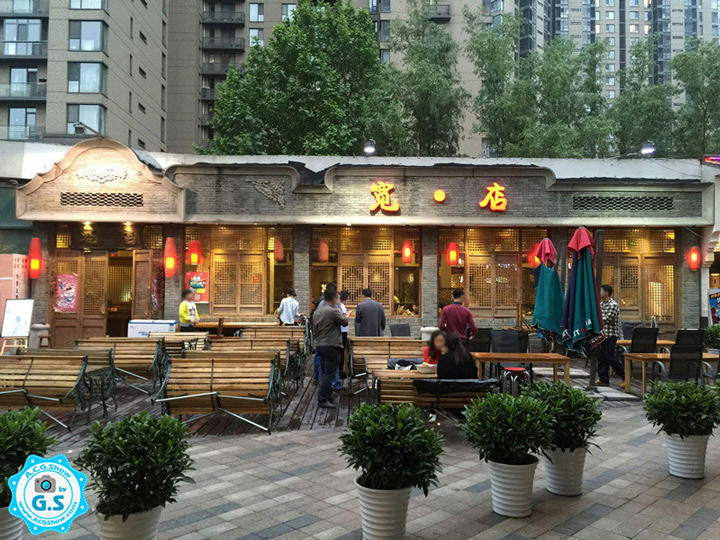 The restaurant is located around the Sanyuanqiao Station in Beijing. If you compare it to the Lego version, you will that almost every detail is represented. The scale is a bit off, but that is typical of Lego projects.